The Most Insane Brussels Sprouts Gratin. 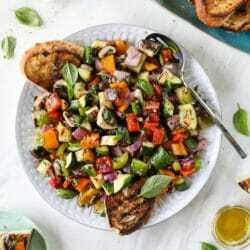 Grilled Chopped Garden Veggies with Garlic Toast. 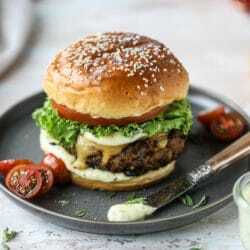 To Die For Veggie Burgers with Garlic Herb Mayo. Smothered Skillet Chicken with Thyme Butter Mushrooms. Spring Veggie Frittata with Queso and Arugula. 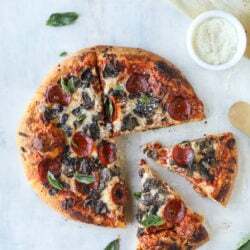 Portobello Mushroom Galette with Buttery Gruyere Crust. 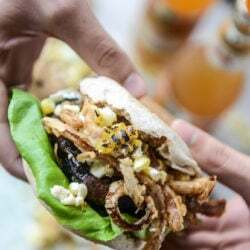 Blue Cheese Stuffed Portobello Burgers with Grilled Corn and Crispy Shallots. 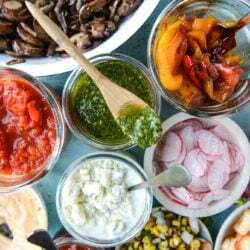 Marinated Grilled Flank Steak with Our Favorite Toppings for Father’s Day! 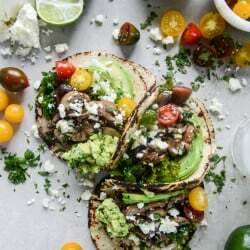 Chipotle Marinated Kale and Smoky Mushroom Tacos. Cider Braised Chicken with Spiced Butternut. Stovetop Goat Cheese Shells and Cheese. 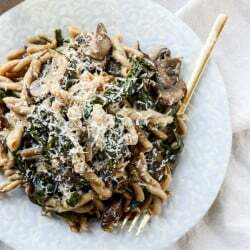 One Pot Mushroom and Swiss Chard Pasta. Pretzel Bread Quinoa Stuffing with Garlic Butter Mushrooms. Butternut, Mushroom and Fontina Nachos with Crispy Sage. Spinach, Bacon + Artichoke Stuffed Portobellos. Cheeseburgers with Sautéed Mushrooms, Arugula and Dijon Aioli. 15 Minute Mushroom Melts with Mustard Aioli. Red Wine Roasted Mushrooms on Goat Cheese Garlic Toasts. Grilled Corn, Mushroom + Roasted Poblano Tacos with Chipotle Crema. Asiago Portobello Burgers with Roasted Red Peppers + Balsamic Glaze. Portobello Fajitas with Fontina Queso.